AND THE REST OF THE STORY!! Making these quilts was made a lot easier with my Accuquilt Go cutter, the most time consuming part was selecting the fabrics but I think we already discussed that. Then to end the month with all of the Island Batik Ambassadors "Playful Paper Piecing" just click on the link to get your eye candy of Island Batik fabrics and a bunch of tricks and tips to paper piecing. Life has been so full here at the Bejeweled House. My mother comes and stays with me from Friday til after church on Sunday. I kept Baby Gene this week-end and was in total heaven....as well as my youngest son and his wife who came to visit..
Last night it took me four hours just gathering fabrics, cutting, and fusing the Sun Bonnet Sue to the background fabric. Haven't fused the Sams yet. Here they are here waiting. My Accuquilt Go made short work of cutting these out. These are the border fabrics for these quilts. 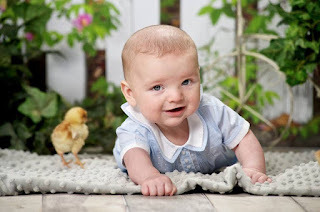 These two are for twin boy and girl. I purchased these fabric from Connecting Threads when they had them on sale. I really do like their fabrics and I especially like it when I can get a good sale. Made these bowl potholders for a friend. You can find the patterns online for free or on craftsy. You and I both know that nothing is more frustrating than wanting to do a project only to find you are out of ink. Or even worst yet and more frustrating you can not get the pattern to print at the right size. First off...usually the pattern has a square of some kind of gauge to measure your patterns by. If there is a one inch square (which this pattern did not have), I take my ruler and measure the square right on my computer screen. If it is too big or too small, I just zoom in or zoom out until I get it to one inch. This is the pattern I want. Lay the computer screen as far back as possible. Get me a trusty ruler and pencil. I just start tracing. Use a ruler for the straight edge. Can't help you with the round parts, as you can see mine is kinda messy. Not to fear. I just go and smooth out the edges. Now if I have a pattern that is too big like a huge heart that you have only half of the heart on your screen, I just go ahead and trace what I can and then scroll up the page for the other half of the heart, match the seams and trace away. I guess I started doing it this way when the pdf patterns started coming out and couldn't get the scale right when it printed. There you have it. Easy!!! Labels: Making patterns without ink, or not being able to scale the pattern to size. It is dew berry picking time but I did find time to make this adult bib. My cousin asked if I could make some. I just had to find a pattern...and I did. 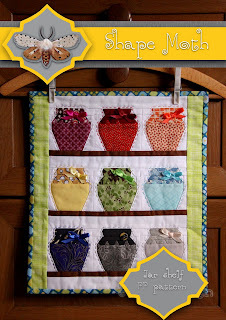 Michele Bilyeu's blog "With Hearts and Hands"
What an easy pattern and great directions. Thanks Michele!!! For some reason she thinks she can carry her soda (big gulp) mind you where ever she goes with her walker. Which....yes, you guessed it....the soda lands all over the floor. .Now she has pockets to put her big gulp in. Needless to say she is thrilled and so are my floors (my sister's floor). Once again great instructions but I didn't follow them...just wanted the measurements. I put a button on each side of the walker caddy and sewed a hair bob on the other side and brought it around the button. Works great for keeping the walker caddy in place. I know, mine is not as pretty with all of the ribbons and bows but hey..
All I can say is it works and she is happy. I am using this thread on a project for the Island Batik Fall Catalog (which I can not show you). This thread is AAAAA mazzzzzing. I love these threads, smooth as silk for my blanket stitching, doesn't break or fray. Had a great time using this thread. Truly is Superior!!!! I know that for some of you think picking dewberries or blackberries is not your idea of fun. But it is mine. So once I get them picked then I juice them. This part is fun if you like getting your hands messy. I did make jelly from the dew berries I picked the other day and jelly from the blackberries frozen from last year. that causes a smile to cross my face each time. You can tell I do not need a roller coaster ride to get my thrills. So...here is my "Playful Paper Piece" using Desert Rose Island Batik Fabric. Laying in my rose bush. Click on the link above and you will find the pattern for the jars. Now having done that, I have to admit, I am not a fan of paper piecing. I have done one quilt using the paper piecing method and well...that was that. Thank you Island Batik for allowing me to practice this method again. The Island Batik Ambassadors will be posting at various times during the month about their projects for the month as well. Sometimes the challenges of life just keep a person busy. It was not until Friday that I got back to sewing. I had not touched my machine for two weeks. Even tho I was busy, I got a hair brained idea to make curtains for my kitchen. Trust me when I tell you that I have hardly decorated this house since we moved in two and a half years ago. Some of my windows are lacking attention, pictures have not been put on the walls...etc. So...as busy as I have been I did find time to buy some scrap fabric on line (you know.....we can always squeeze in time for buying fabric)!!! I got these lovelies at Modernality Fabrics on etsy, just the colors I wanted. As you can see or not see, they are upholstery fabrics. The fabrics were next to nothing in cost, she shipped quickly and well....I had fun. I even lined these curtains. Now there are things I would change but not now (which means not ever). and to make a bar runner but that will happen later...got some irons in the fire right now. 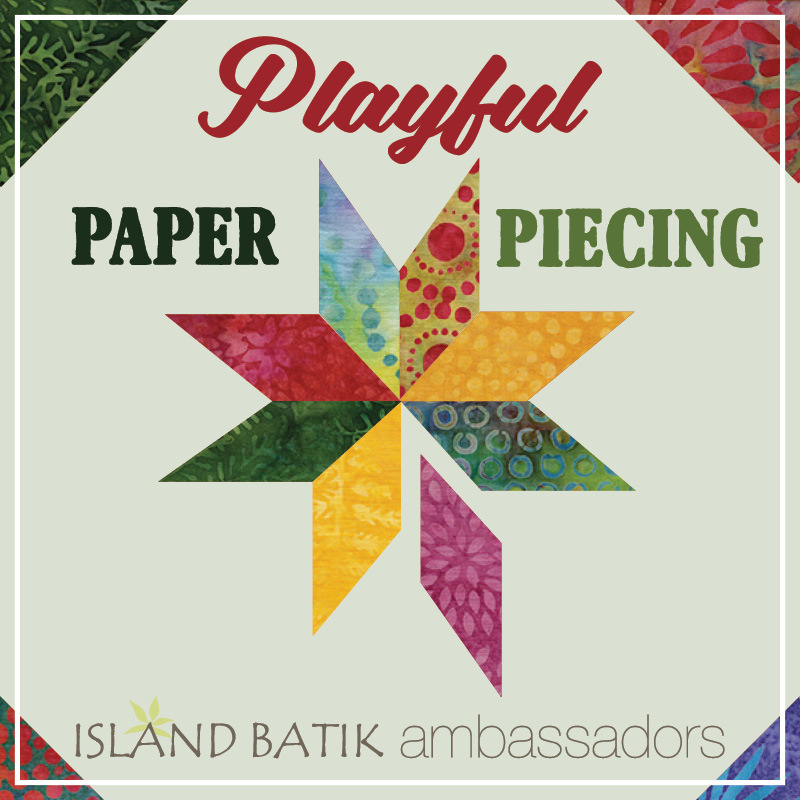 A paper piecing project coming up for Island Batik.....more will be revealed later. Using Deseret Rose fabrics by of course the awesome Island Batik. Needless to say with all of life's challenges that present itself on a daily basis and sometimes keeps me from posting or sewing.....................LIFE IS GOOD!! !